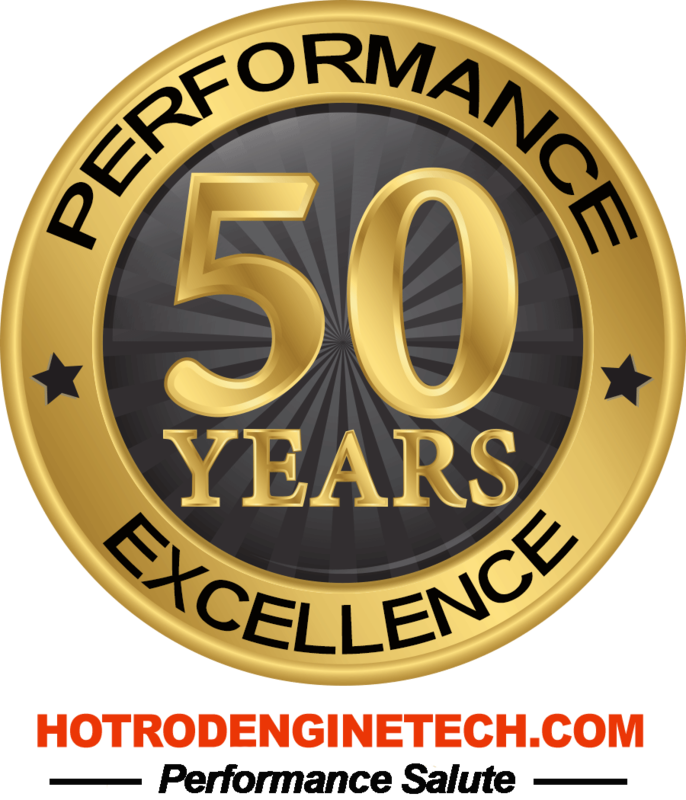 In all the years of specializing in cylinder head designing and rebuilding, one thing that we have learn; regardless of the care in assembly and quality of your engine components, the most important steps toward high performance are found in the cylinder heads. Valve sizes, port shapes, and the combustion chamber profile can combine to work in perfect harmony with a specific camshaft and other factors. This harmony yields an engine that produces usable horsepower, and extracts the maximum power from each drop of fuel. Leak-free valves or fresh paint are simply not enough. Each of the heads we sell is intended for a specific engine purpose, ranging from optimum fuel economy to purebred racing. 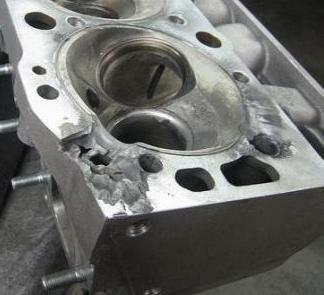 The cylinder heads modified by us all share a common element; QUALITY. 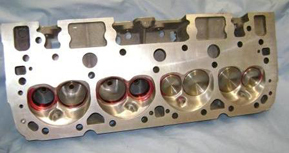 It's safe to say that during all this time, we've seen just about everything there is to see in regards to cylinder heads. That includes the future. We still contract with automotive manufacturers to help their development designs. We also contract with several local new car dealers for warranty repair work and even repair heads used on industrial engines. Street Valve Work; filling the gap between repair shop valve grinds and racing work; we add the details that make the difference. 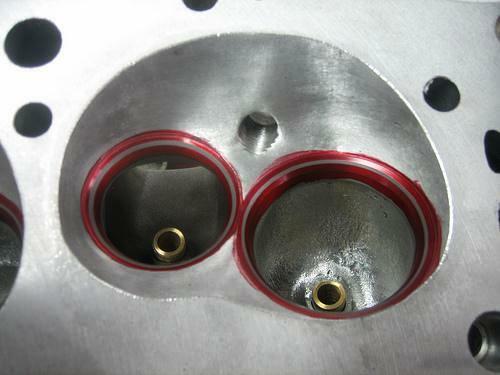 The valve seats receive a three angle profile to optimize flow at intermediate throttle positions, and to improve throttle response in the street environment. Guides and valves are careful inspected for any defect prior to assembly, and afterward to verify that no spring or stem binding will occur. 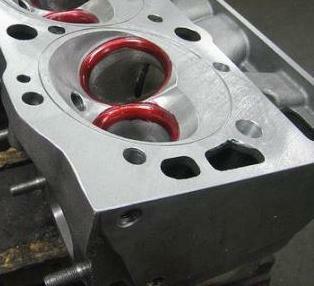 The result is a completely dependable and leak-free cylinder head. Marathon Valve Work; is intermediate valve and seat preparation that is designed for mild competition or performance street use. To assure seat longevity, intake seats are held to 0.060", and exhaust seats to 0.080" on their contact faces. Multiple angles for the remainder of the seat profile assure excellent mixture flow at a wide range of port airflows and velocities. 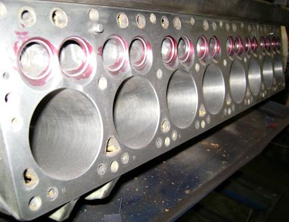 Marathon valve work includes: lapping the valves to the seats to verify we have 100% contact between the valve seats and the valve; setting all spring heights to your cam manufacturer's specifications to provide uniform seat pressure; and maximum potential from your combination. 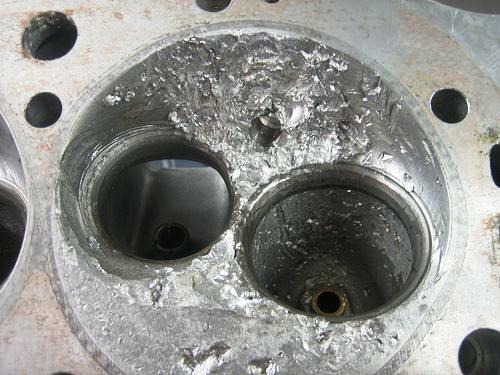 Hyper-Flow Valve Work; regardless of the airflow potential of either an intake or exhaust port, it can be lost in the transition between the port and the combustion chamber. Airflow between the seat and valve guide areas, and the transition from the seat into the chamber are crucial to making the overall package effective. We continuously investigate and verify mechanical advances in airflow techniques so that we can provide you with the best available valve and seat profiles. Our Hyper-Flow Valve Work is performed exclusively by veteran airflow specialists. They combine the grinding wheel with their experience to form shapes that really work. Cylinder heads with our Hyper-Flow Valve Work are hand shaped for the best airflow past the valve and perfect valve sealing. Naturally, Hyper-Flow Valve Work also includes precision-set spring heights to your specifications. Those who are into racing know that things don't always go well. In the industry we are known as Valley Head and Rescue because of our ability to repair heads and other engine components that seemed too far gone to use again. This saves you money by not replacing those components that are severely damaged. Some of our employees are expert welders repair making heads, blocks, and cranks as good as new and sometimes even better. Not everyone can weld aluminum or cast iron properly, but we do.